Just before Helgi Tomasson moved to San Francisco — and to the neighborhood — to become artistic director of the San Francisco Ballet, he wound up a stellar first act as an acclaimed principal dancer with George Balanchine’s New York City Ballet. 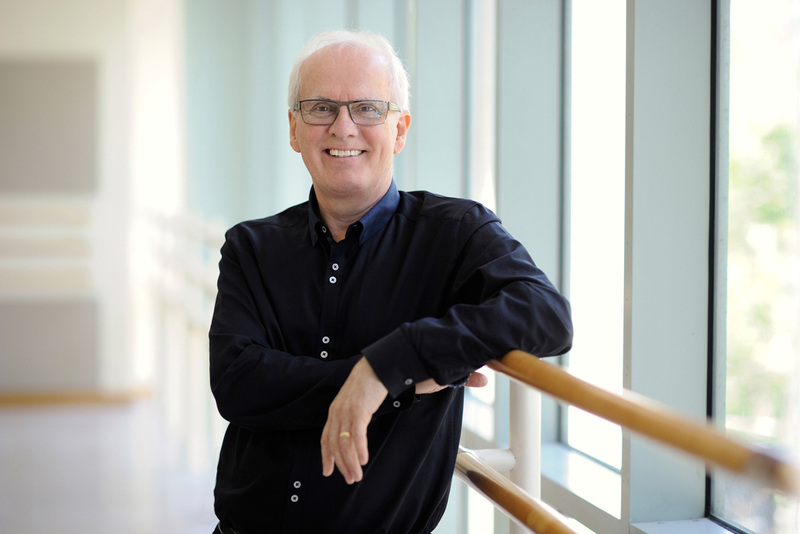 In his 33 years here, Tomasson has turned a regional troupe into one of the most admired ballet companies in the world. The company’s 85th season showcases Tomasson’s skill in planning wonderfully varied evenings of story ballets and three-act programs of modern and neoclassical choreography — such as his own “On a Theme of Paganini,” beginning February 15. Did you dream of leading your own ballet company? Probably like the majority of dancers, I was just concentrating on what we had to do and learning new ballets and touring. Until I was asked, I hadn’t really thought of it. How did you get the offer? I had been asked to take over the Royal Danish Ballet, and it looked like I would be going there. My wife and I were looking for housing in Copenhagen, but there were issues I felt the company needed to resolve. While we were waiting, I got a call from S.F. Ballet founder Lew Christensen, who asked me to come and have a talk with him, though he passed away before I could meet him. Why did he think of you? I had no experience in running a company, but I was one of the leading dancers of my generation, very well known not just nationally but internationally. Maybe they were looking for someone who understood the art form, but would also find new ways of using classical vocabulary. The S.F. Ballet board asked me to make this a nationally, even internationally, known company. I felt the level of the company needed to be better, and I set out to make that happen. Were San Francisco, and maybe living in Pacific Heights, also draws? I did not know the city very well. In the beginning of my career, I danced with Joffrey Ballet, which came through here once or twice, always a very short stay. When we were looking for housing for my wife and me and our two sons, it was hard to find anything. I just happened to walk into this apartment [on Washington Street], and it suited us well. It was only later that I discovered what a lovely neighborhood it is. As a choreographer, do you find inspiration in working at home, with the hills and views? You need to be in the ballet studio, with lots of space and the dancers in front of you. Others think of a story and then try to fit the music to it, but most of my work derives from inspiration the music gave me. It’s a long process, because you listen to a lot of different music; I sit here in my living room. Once I find what I want to use, I play it over and over to get the structure and what I feel the composer had in mind, then what I want to do, how many dancers I want to use, which dancers. Walking around the neighborhood, do you run into patrons or balletgoers? I love taking walks. Sometimes I walk all the way down to Bryan’s Grocery or Cal-Mart. There are people who come up to me unexpectedly — I might be waiting in line — and say: “Oh, by the way, I saw the performance last night and enjoyed it very much.” That happens a lot. You are doing something special with “Unbound” in April. Yes, it got me thinking what I would do different. This time, I contacted 12 choreographers. Some have established names; others are not known as well in this country. Maybe we could see where dance is heading. One choreographer might be in Copenhagen, another in Barcelona, in London. What if we got them all together? All the works in this program were created for this company. All 12 pieces are brand-new, never been seen, and created on these dancers.